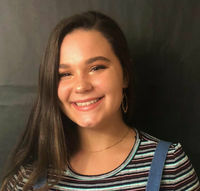 Ninth grade student-athlete Lexie Holder finds a balance between her Mcintosh softball schedule and contributing to journalism as a new member of the Mcintosh Trail and finding time to continue to write as a passion. She is a two-year consecutive Laws of Life winner and a former Middle School ambassador. Her favorite all-time writers are music critic Lester Bangs and Bob Dylan. She always finds time to be social and is always ready for a music trivia question.